Obviously, nanoweapons (also spelled nano weapons) are beginning to become part of the international vocabulary. Unfortunately, most in the US have never heard of nanotechnology, let alone nanoweapons. Therefore, let us define terms. According to the United States National Nanotechnology Initiative’s website, nano.gov, “Nanotechnology is science, engineering, and technology conducted at the nanoscale, which is about 1 to 100 nanometers.” To put this in simple terms, the diameter of a typical human hair equals 100,000 nanometers. Therefore, the largest nanotechnology has a dimension that is over a thousand times smaller than the diameter of a human hair. This means nanotechnology is invisible to the naked eye or even under an optical microscope. Nanoweapons are any military technology that exploits the power of nanotechnology. To be clear, the weapon itself may be large, but as long as it has one or more components in the nanoscale, it is a nanoweapon. You may wonder, Why would someone use nano poisons? The size of nanoparticles, the components of a nano poison, allows living tissue to absorb them more readily than other known toxins. Nanoparticles are able to cross biological membranes and access cells, tissues and organs that their larger counterparts cannot. Therefore, nano poisons are more deadly than their bulk counterparts are. Currently, the United States, China, and Russia are in a frantic nanoweapons arms race. Each country is spending billions of dollars, as they vie for an asymmetrical advantage in nanoweapons. However, each country is keeping its thrusts in nanoweapons secret. For example, in 2000, the United States government launched the National Nanotechnology Initiative (NNI), a research and development initiative involving the nanotechnology-related activities of 25 Federal agencies with a range of research and regulatory roles and responsibilities. To date, the US has invested over $20 billion in NNI programs. If you review the NNI website, nano.gov, you will not find the word nanoweapons. However, NNI’s dedicates 15-20% of its budget to DOD programs. In addition, each branch of the US military has its own nanotechnology R&D facility. You may ask, What fuels the nanoweapons arms race? A new paradigm fuels this race, namely the superpowers of the future will be those nations with the most capable nanoweapons. Five facts support this assertion. This suggests the nanoweapons arms race is more problematic than the nuclear arms race. 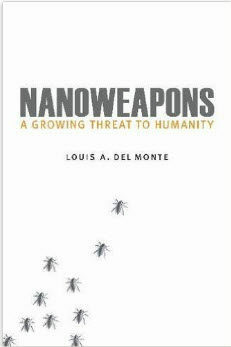 In fact, in my book, Nanoweapons: A Growing Threat To Humanity, I pose a critical question: Will it be possible to develop, deploy and use nanoweapons in warfare, without rendering humanity extinct? In 2008, experts surveyed at the Global Catastrophic Risk Conference at the University of Oxford cited molecular nanotechnology weapons as having a 5% probability of rendering humanity extinct by the end of this century. By comparison, they rated nuclear war as having a 4% probability. It is natural to wonder, What is it about nanoweapons that makes them even more problematic than nuclear weapons? The simple answer is “control.” Controlling nanoweapons is as problematic as controlling biological weapons. Let’s illustrate the control issue with a simple example. In the third quarter of the 21st century, self-replicating nanobots, nearly invisible robots able to replicate themselves, will dominate the nanoweapons arsenals of the most capable countries. 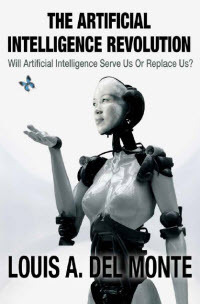 These self-replicating nanobots will be programmable, among other functions, to attack the populace of another country, via the DNA similarities of the populace. However, what if there is a programming glitch. The self-replicating nanobots could become the equivalent of a biological plague and begin killing all humans indiscriminately. Nanotechnology is an enabling technology. It enables a trillion dollar worldwide market in commercial products. 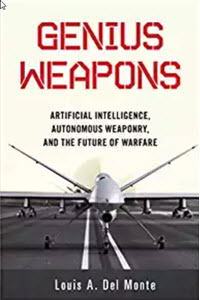 It also enables nanoweapons, which are being deployed now in the form of integrated circuits that guide missiles, lasers capable of “shooting” down a cruise missile, nano-enhanced explosives with ten time the punch of conventional explosives, to name a few. Given the potential of nanoweapons to become the ultimate weapons of mass destruction, we need the United Nations and its member countries to enact measures to assure that nanoweapons do not become our final invention.